Turn-of-the-millennium indie synth act the Postal Service never released a Christmas album—the group only released one album, period—but if it had, it would probably sound a lot like Gift Up. 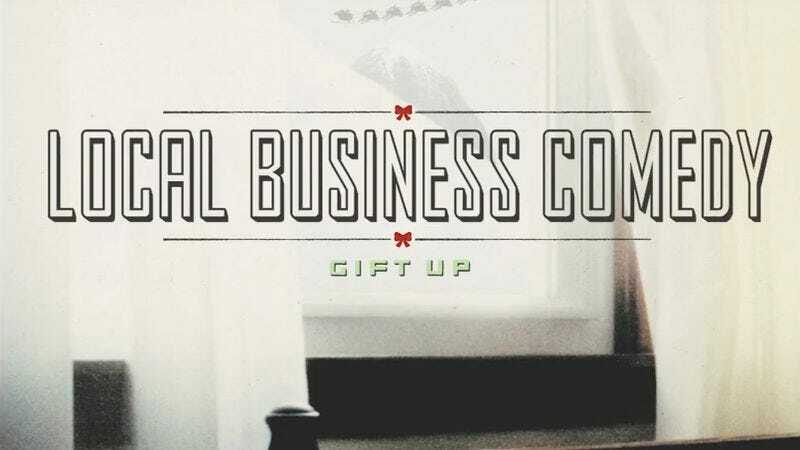 Gift Up is the work of Los Angeles-based comedy troupe Local Business, and is a reimagining of Give Up—the Postal Service’s classic 2003 album—as a Christmas album. As you descend deeper into seasonal cycle of shopping and wrapping and going to parties you don’t want to go to, let Gift Up be the soundtrack that pushes you forward. And if you need something a little more aggressive, check out Kreezus, the Christmas-themed parody of Yeezus that Local Business released last year.